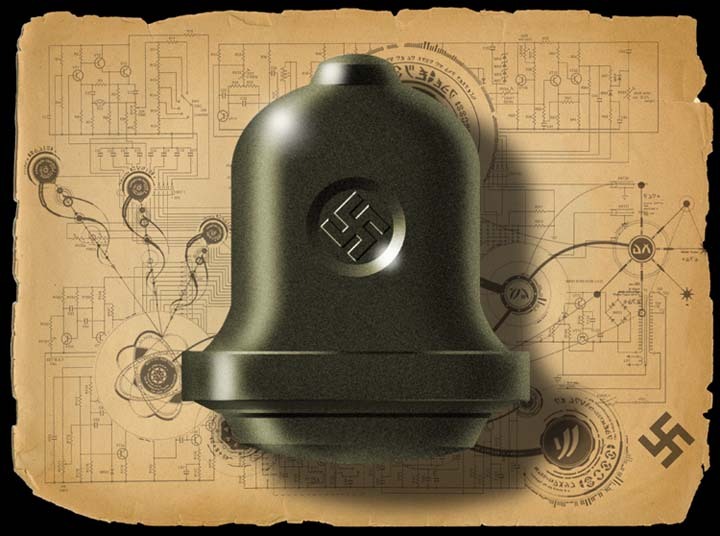 The Bell, or Die Glocke in German, is a kind of world war two myth – one of the wunderwaffe, or wonder weapons, that the Nazi’s developed in secret, rumoured to have superweapon qualities. These wunderwaffe included plans for Nazi ballistic missile submarines, turbo jet dive bombers, sub-orbital antipodal bombers, experiments with nuclear energy, superguns, the ‘Sun Gun’ – a parabolic mirror placed in orbit, used to focus sunlight onto locations on Earth’s surface, even the V2 rocket. 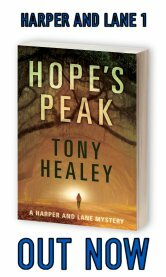 Tested in an underground facility, the bell is rumoured to have been many things; an anti-gravity experiment, a piece of a crashed UFO… even a type of time-travel device. Some accounts speak of the bell creating a window into the past. Most sources state that the bell was indeed an anti-gravity experiment. Claims about the existence of Die Glocke originated in the works of Igor Witkowski. His 2000 Polish language book Prawda O Wunderwaffe (The Truth About The Wonder Weapon, reprinted in German as Die Wahrheit über die Wunderwaffe), refers to it as “The Nazi-Bell”. Witkowski wrote that he first discovered the existence of Die Glocke by reading transcripts from an interrogation of former Nazi SS Officer Jakob Sporrenberg. According to Witkowski, he was shown the supposedly classified transcripts in August 1997 by an unnamed Polish intelligence contact who claimed to have access to Polish government documents regarding Nazi secret weapons. Witkowski maintains that he was only allowed to transcribe the documents and was not allowed to make any copies. Although no evidence of the veracity of Witkowski’s claims have been produced, they reached a wider audience when they were retold by British author Nick Cook, who added his own speculations to Witkowski’s claims in The Hunt for Zero Point. Allegedly an experiment carried out by Third Reich scientists working for the SS in a German facility known as Der Riese (“The Giant”) near the Wenceslaus mine and close to the Czech border, Die Glocke is described as being a device “made out of a hard, heavy metal” approximately 9 feet wide and 12 to 15 feet high having a shape similar to that of a large bell. According to Cook, this device ostensibly contained two counter-rotating cylinders which would be “filled with a mercury-like substance, violet in color. This metallic liquid was code-named “Xerum 525”” and was otherwise cautiously “stored in a tall thin thermos flask a meter high encased in lead”. Additional substances said to be employed in the experiments, referred to as Leichtmetall (light metal), “included thorium and beryllium peroxides”. Cook describes Die Glocke as emitting strong radiation when activated, an effect that supposedly lead to the death of several unnamed scientists and various plant & animal test subjects. 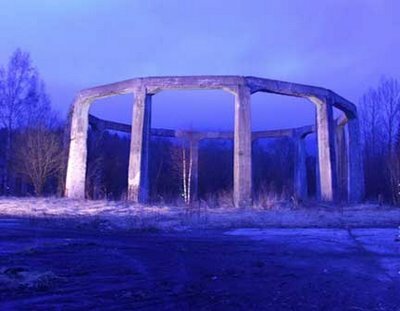 Based upon certain external indications, Witkowski speculates that the ruins of a metal framework in the vicinity of the Wenceslas mine (aesthetically dubbed “The Henge”) may have once served as test rig for an experiment in “anti-gravity propulsion” generated with Die Glocke; others, however, dismiss the derelict structure as simply being a conventional industrial cooling tower. Witkowski’s claims along with Cook’s speculations prompted further conjecture about the device from American fringe science authors such as Joseph P. Farrell, Jim Marrs, and Henry Stevens. 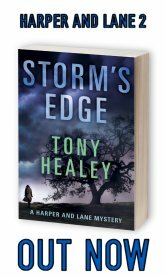 Farrell claims that the device was considered so important to the Nazis that they killed 60 scientists that worked on the project and buried them in a mass grave. In his book, Hitler’s Suppressed and Still-Secret Weapons, Science and Technology (2007), Stevens speculates that Die Glocke contained red mercury and describes stories alleging that a concave mirror on top of the device provided the ability to see “images from the past” during its operation. Witkowski speculated that Die Glocke ended up in a “Nazi-friendly South American country”. Cook speculated that it was moved to the United States as part of a deal made with SS General Hans Kammler. According to Patrick Kiger writing in National Geographic, Die Glocke has become a “popular subject of speculation” and a following similar to science fiction fandom exists around it and other alleged Nazi “miracle weapons” of Wunderwaffen. The consensus does seem to be that the bell was a genuine Nazi experiment into anti-gravity, (although whether the technology originated from crashed extra-terrestrial craft is anyone’s guess) and that after the war the technology was picked-up by scientists in the US – which in itself has far-reaching ramifications. If that is the course of events, then could all of the UFO sightings of the last century in fact be sightings of top secret anti-gravity aircraft? This is not a new question. Indeed it goes hand in hand with the UFO phenomenon… but perhaps die glocke was the very beginnings of it. Below is a pretty good documentary on die glocke, and related Nazi experiments and tech. At the very end of this post there is also an embedded video of an interview conducted with Igor Witowski, including footage of the ‘water-tower’, said to house either the bell itself, or a large cooling tank used in its experimentation. What a pity that some Nazi Nuclear scientists like Dr Karl Wirtz and Prof Manfred von Ardenne plus Prof Heisenberg all said it was a powerful type of X-ray generator for the Nazi nuclear weapons project…. Oh well there goes another anti gravity theory.